Being open to the world, finding your place in society, individual happiness as well as collective happiness, the importance of each one of our choices, here like elsewhere, determination and self improvement are all themes we explore with Asiemut. For any lecture requests or screenings with the directors, please indicate the place, the date, the number of participants and the type of clientele. Since Asiemut won the public’s vote at the Banff Mountain Film Festival, we have had the opportunity to show our film to thousands of people. In Quebec, we presented it during the « Grands Explorateurs » tour in 2007 as well as in 150 schools throughout the province of Quebec; sharing it with more than 45 000 kids! Asiemut is also part of Banff Mountain Film World Tour since 2007. In addition to its participation in many festivals, it was screened in 40 countries, on the six continents. And yes, even in Antarctica! 6th october, 19h00 - Mélanie and Olivier presente Asiemut at the Cegep of Granby, Quebec, Canada. January to april 2009 Asiemut is screened during the «Exploration du Monde» Tour in Belgium. July 2009 Asiemut is screened at the Tibetan Film Festival in England and Korea. En 2008, Asiemut fait toujours partie du Banff Mountain Film World Tour. Asiemut is screened at the Festival Étonnants Voyageurs in St-Malo, France. Asiemut is screened at the Mountain Film Festival in Telluride, USA. 12nd july - Mélanie and Olivier presented their lecture Asiemut at the Maine Bike Rally, Fryeburg, USA. 18th july - Mélanie and Olivier presented their lecture Asiemut at St-Adèle, Canada. 25th july – 3rd august - Asiemut is screened at the Cervino Cinemountain Film Festival, Italy. 1st october - Mélanie and Olivier presented Asiemut at the 47ème Parallèle Restaurant, in Quebec City, for the foundation «Les Petits Explorateurs », Canada. 13rd - 15th november - Mélanie and Olivier presented Asiemut at the Larochelle Adventure Film Festival, France. Among other things, in 2007, Mélanie and Olivier presented more than 80 lectures about Asiemut during the «Great Explorer Tour» in Quebec and in the Maritimes provinces of Canada. Asiemut is also taking part of the Banff Mountain Film World Tour and the Nissan Adventure Film Festival Tour in England. Thus, Asiemut was screened in more than 35 countries, on the six continents! Asiemut is screened at the Vancouver International Mountain Film Festival, Canada. Asiemut is screened at the Fort William Mountain Film Festival, Scotland. Mélanie presented Asiemut at the Festival Aventures du Bout du Monde in Avignon, France. Asiemut is screened at the Moscow International Mountainering and Adventure Film Festival, Russia. 24th – 31st may - Mélanie and Olivier presented Asiemut at the Adventure Film Festival of La Réunion, La Réunion Island. Asiemut is screened at the New-Zealand Mountain Film Festival, Wanaka, New-Zealand. Asiemut is screened at the Squamish Mountain Film Festival, Canada. Asiemut is screened at the Vanka Regule Film Festival, Croatia. Asiemut is screened at the Teplice Mountain Film Festival, Tcheck Republic. 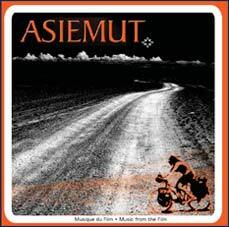 Asiemut is screened at the International Film Festival of Les Diablerets, Switzerland. Asiemut is screened at the Inkafest Mountain and Environment Film Festival, Perù. Mélanie and Olivier presented Asiemut at the Rhode Island International Film Festival, USA. 7th september - Mélanie and Olivier presented their «Asiemut» lecture at the University of Anchorage, Alaska, USA. 21st-23rd september - Mélanie presented Asiemut at the Festival Aventures du Bout du Monde in Paris, France. 27th – 29th september - Mélanie & Olivier presented their «Asiemut» lecture at the Springs Preserve in Las Vegas, USA. 7th october - Mélanie and Olivier presented their «Asiemut» lecture at the Pierre-Mercure Theatre, Montreal, Canada. 10th - 14th october - Asiemut is screened at the International Festival on Mountain Film in Poprad, Slovakia. 17th - 21th october - Asiemut is screened at the International Mountain Film of Tegernsee, Germany. 19th - 21st october - Asiemut is screened at the Edinburgh Mountain Film Festival, Scotland. 23rd october - Mélanie and Olivier presented their «Asiemut» lecture at the Théâtre du Vieux-Terre-Bonne, Canada. 24th - 28th october - Mélanie is part of the jury at the Internation Adventure Film Festival of Montreal, Canada. 31st october - 7th november - Olivier is part of the Adventure Film Maker Seminar at the Banff Mountain Film Festival, Canada. Asiemut is screened at the Flagstaff Mountain Film Festival, USA. 2nd - 4th november - Asiemut is screened at the Williamstown Mountain Film Festival, USA. 7th - 11h november - Asiemut is screened at the International Film Festival on Mountain & Culture, in Graz, Austria. 8th - 11h november - Asiemut is screened at the Festival Explorimages in Nice, France. 14th - 17th november - Asiemut is screened at the Rencontres Internationales du Documentaire de Montréal (RIDM), Canada. 15th – 18th november - Mélanie and Olivier presented their «Asiemut» lecture and their film Asiemut at the Explorer Film Festival in Lodz, Poland. 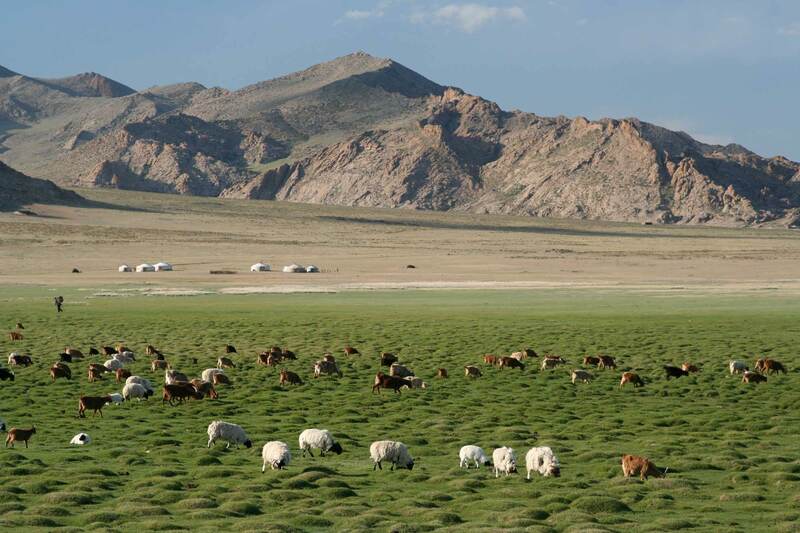 21st – 24th november - Asiemut is screened at the Dundee Mountain Film Festival, Scotland. 28th - 2nd december - Olivier is part of the jury at the International Mountain Film Festival of Autrans, France. 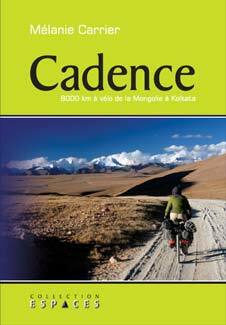 Mélanie is present with her book Cadence. 29th november - 2nd december - Asiemut is screened at the International Mountain Film Festival of Bulgaria. Asiemut is screened at the Boulder Adventure Film Festival in Colorado, USA. Asiemut is screened at the Kendal Mountain Film Festival, England. Asiemut is screened at the Nordic Mountain Film Festival, Norway. Asiemut is screened at the Queenstown Adventure Film Festival, New-Zealand. 4th - 9th december - Asiemut is screened at the Danish Adventure Film Festival in Copenhagen, Denmark. 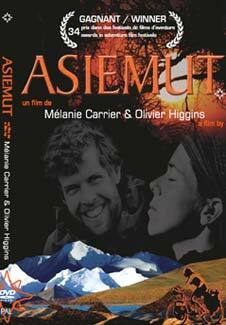 Mélanie and Olivier presented Asiemut at the International Adventure Film Festival of Dijon, France. Mélanie and Olivier presented Asiemut at the International Adventure Film Festival of Montréal, Canada.